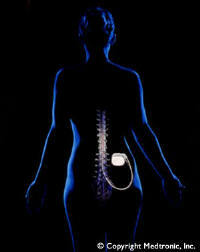 Spinal cord stimulation (medtronic) has been used for thirty years (introduced in 1967), to diminish pain in patients. It is extremely beneficial to patients with certain types of low back and lower extremity pain. 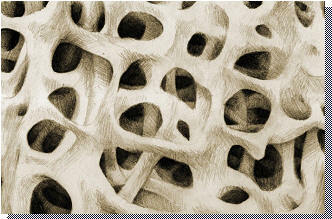 Although it's exact mechanism of operation remains unclear, it appears to work by blocking transmission of pain fibers. Spinal cord stimulation (medtronic - mdt) is one of the most successful techniques available for the treatment of intractable chronic pain syndromes of benign origin. It is often as good as reoperation for many patients with failed back syndrome, and for those who have failed reoperation. The procedure is generally done under local anesthesia. Either an electrode is inserted through an epidural needle, or a limited laminectomy is done to permit placement of larger epidural (around the spinal cord) electrodes. 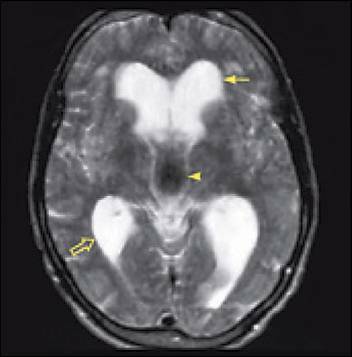 Risks of the procedure are very low, with the major risk being infection (occurs in 5% of cases). 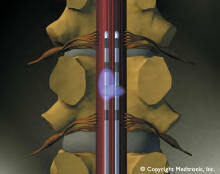 Several of the images on this site have been provided courtesy of medtronic - mdt. 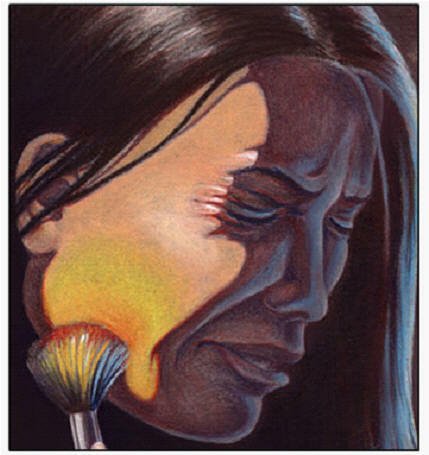 Generally, the more localized in the periphery the pain is, the better the results. A unilateral extremity will respond best to stimulation, but with the design improvements, and the availability of dual systems and leads with multiple electrodes, it is possible to treat pain over the spine as well as in both extremities.